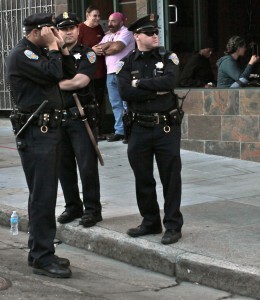 “Stop and Frisk” in San Francisco? Last month, San Francisco Mayor Ed Lee announced that he had a good talk with New York Mayor Michael Bloomberg about that city’s controversial “stop and frisk” policy and that he was considering a similar policy in the City by the Bay. But it’s clear that either Lee didn’t understand the controversy surrounding the policy or he didn’t care. Really, according to this column in the SF Gate, clarity all around seems to be lacking. Columnist Heather Knight says that no one is exactly sure what Lee is proposing, that people have spoken out against the potential policy, calling it an extension of the “new Jim Crow” and saying it could only lead to civil rights violation and unequal application. Lee, however, maintains he would not implement any policy that would violate any rights. But, again perhaps confused, he does say he would like a policy like the “stop and frisk” in both NYC and Philadelphia. Phlly has at least scaled back their stop and frisk policy, conserned about the negative impact on community policing efforts. Stop and frisk policies allow cops to stop people on the side of the street and frisk them. The effort is to rid the streets of guns and drugs. But, more often than not, cops end up searching blacks and Hispanics at alarmingly disproportionate rates. Under Mayor Bloomberg’s version of the policy, the NYPD searched 685,724 people in 2011. Eighty-seven percent of those searched were black or Hispanic. But Lee says his policy, though modeled after the one in New York, wouldn’t have the same problems. It isn’t clear if Lee believes calling the procedure something else would ensure fair application or if he is again confused by what the exact problem is. Lee wants gun violence to come down and this is his best solution. “He wants the gun violence to stop,” said Police Chief Greg Suhr, who also promises that no policy would be adopted to violate the rights of the people. Reduced gun violence is an admirable goal, to be sure. But randomly selecting citizens of San Francisco to be searched while walking in their communities might not be the best solution. Just ask New York. On the back end of the gun crime problem are the courts, who frequently dole out tough penalties for people accused of gun crimes in the area. If you are charged with a weapons offense or a drug offense, we may be able to help. Whether this is your first criminal charge or if you have a lengthy record, you have options. Contact our offices today to discuss the details of your case.